Last month, industry-leading photography drone brand DJI released a new flagship drone. Actually, the released two: the DJI Mavic 2 Pro and the DJI Mavic 2 Zoom. Here, we'll take a quick look at both of them and note the essentials that you really need to know. No fluff here, this is our essentials-only review on the DJI Mavic 2 Pro and Mavic 2 Zoom. For a breakdown on more DJI drones, visit "Which DJI Model is Right For Your Skill Level?". 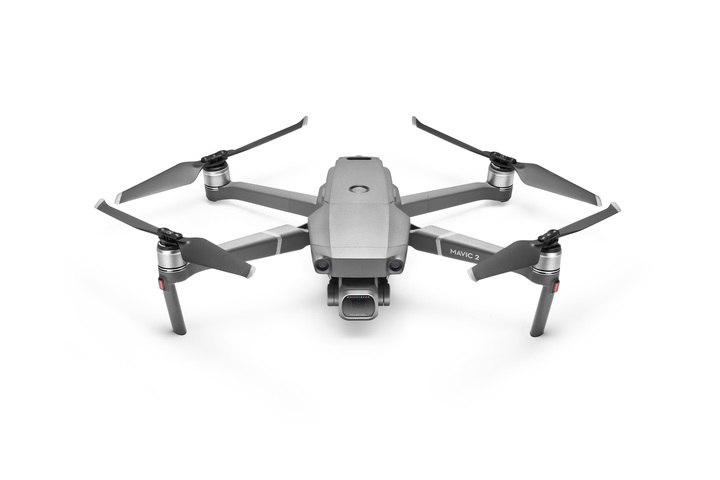 The first thing to know when considering a purchase of the DJI Mavic 2 Pro or Mavic 2 Zoom is that these are essentially the same drone. Flight and drone specifications are exactly the same. The difference lies in the camera gear. First, let's get into their similarities. Here are the specifications you care about when it comes to the new Mavic. Omnidirectional obstacle sensing - both models have sensors on every side of the drone. It also uses pilot assist and low-light assist technologies. Now, let's get into the juicy stuff: how the Mavic 2 Pro and Mavic 2 Zoom cameras stack up. As we've noted, the only differences between these two models is in the cameras. First, the Mavic 2 Pro, the better of the two when it comes to image quality. The Mavic 2 Pro has a larger image sensor for a higher resolution and also comes with an adjustable aperture on the equipped Hasselblad camera. Finally, the Mavic 2 Pro utilizes Dlog footage, allowing creators to access a wider range of colors (1 billion colors) than is possible with the Mavic 2 Zoom camera (16 million colors). Keep in mind that these are great features, but the average user may actually never even benefit from them. It's important to know what you want out of the camera before buying! The Mavic 2 Pro retails for $1,449. While the image quality on the Mavic 2 Pro will look better, the Mavic 2 Zoom camera offers a feature that some filmmakers may really enjoy: an optical zoom camera. You'll sacrifice some resolution for the ability to zoom from 24-48mm. This provides a lot of flexibility when capturing shots but as mentioned, does sacrifice image quality as it makes use of a smaller sensor. The DJI Mavic 2 Zoom retails for $1,249.